In this episode, Weird World of Animals, Ella Watson-Russell presents two stories which give voice to the voiceless – specifically, a budgerigar and a cow. ‘Bluey and Myrtle’ is published in the Spineless Wonders anthology The Great Unknown, a book edited by Angela Meyer who is a huge fan of the TV series the Twilight Zone. You’ll find many of the somewhat surreal elements of the Twilight Zone TV show in Mark O’Flynn’s story. It is performed by Nick Radinoff. ‘A Cow Like Alice’ by Julie Chevalier also includes a talking animal. It is performed by Little Fictions’ regular Eleni Schumacher. This episode includes an interview with Sydney author Julie Chevalier about her story, where the idea for it came from and about her writing process. 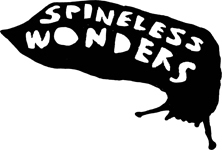 Little Fictions On Air is brought to you by Sydney short story publisher, SPINELESS WONDERS. This episode was originally broadcast on Radio 2RPH at 3pm on Monday, 8 October, 2018. It is produced by Bronwyn Mehan and our sound engineer is Adrian Vecchio-Hoehne. Our theme song, ‘Attune’ is written and performed by Annie Vidler.